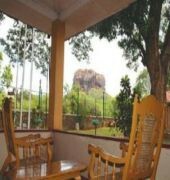 The Sigiriya Rest House is located in the central Matale District near the town of Dambulla. The residence offers views of the World Heritage Site Sigiriya Rock Fortress and approximately 165 km from the centre of Colombo. 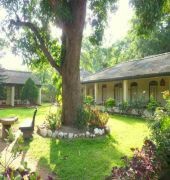 Accommodations are equipped with TV, mini bar, in-room safe, internet access, en suite bathroom and most of the rooms have air-conditioning. 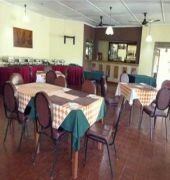 Local or American breakfast is offered daily at the restaurant and there is also a bar onsite. The Sigiriya Water Garden, Archaeological Museum and the Mirror Wall are some of the other attractions in the area. 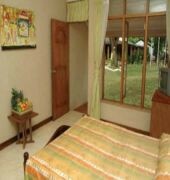 Bandaranaike International Airport is 145 km from the property.